Forgotten Beer Styles: Grodziskie | Birth.Movies.Death. A Polish beer style that's making a comeback. Poland. Not a country as strongly associated with the brewing of beer as Germany, Belgium or the UK, although you know there must be Polish-brewed beer, right? And if there is, wouldn't there be some Polish beer styles? I freely admit that I wasn't aware of any until a short while ago when I started seeing the name 'Grodziskie' here and there on beer-related websites and in forums. After a little bit of research I realised there's something really quite interesting here – a unique beer style that is undergoing a small but noticeable renaissance. Disclaimer: I've had to use a lot of Polish documents and .pl websites in researching this piece. Google translate/Chrome will only get you so far, so apologies in advance for any inaccuracies or missing information. Piwo Grodziskie has three things in common with the Czech beer Budweiser Budvar. Firstly they're both named after a town – Grodzisk Wielkopolski and České Budějovice respectively. Secondly, both towns were, at one time or another, occupied by Germany and given German names (Grodzisk/Grätz and Budějovice/Budweis), which leads to the third commonality – both beers have also been known by two names (one native and one German): Grodziskie/Grätzer and Budějovický Budvar/Budweiser Budvar. The similarities, however, end there. Apart from anything else, Grodziskie is a style and Budvar a brand. 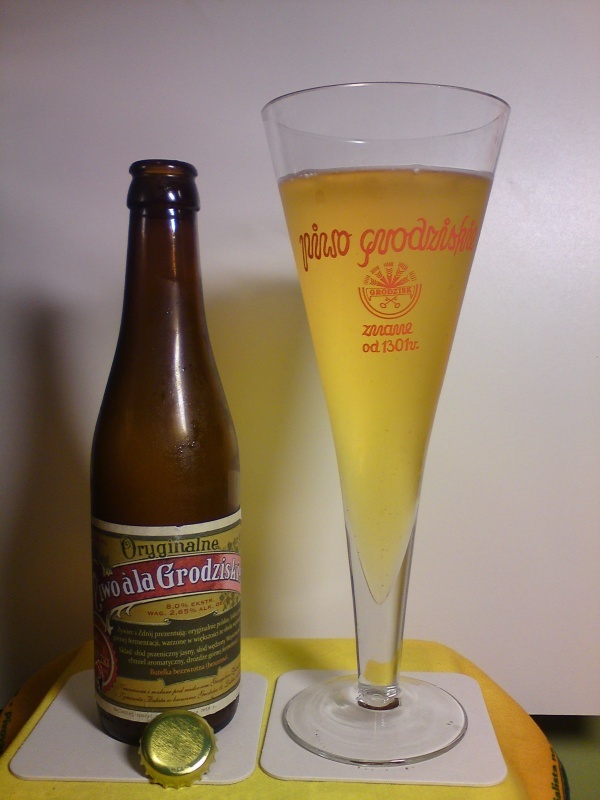 Grodziskie/Grätzer is a top-fermented, low alcohol, wheat-based, pale-coloured, hoppy, slightly tart, smoked beer, and when I say wheat-based I mean there's no barley in it. Seriously. No barley. Grodzisk Wielkopolski has a history of brewing going back at least 700 years, and as with so many other brewing centres around the world it's largely because the water there is very good for making beer. In 1601 a statute formalising a brewers guild was enacted and by the late 1700s there were 53 breweries operating in the town. ...purchase and amalgamate the five well-known Freehold Breweries at Grätz, in the Province of Posen, together with the goodwill, the lands, buildings, maltings, plant, machinery, materials and utensils, horses, vans, and every description of appliance necessary for the carrying on of a brewing business on a large scale, and also the branches established at Berlin, Posen, and Bromberg, including horses, carts, plant, fixtures, &c.
The five breweries in question were Bahnischa, Grunberg, Bibrowicz, Habocka and Bohnstedta. As far as I can make out (it's that translation thing again) the largest of the five, Bahnischa, withdrew when they found out that the buyers intended to sell the breweries for a profit rather than operate them. As you might expect, lawyers were consulted and court proceedings for breach of contract were begun. I've been unable, so far, to find out the judge's determination on the matter, but the end result was that the purchase did not go ahead and the breweries remained in Polish hands. Grodziskie was exported throughout the 19th and early 20th centuries to other parts of Europe and around the world and was considered a quality beer. I put “Picjie zdrowotne Piwo Grodziskie” through the Google translator and it came up with 'Health drink beer Grodziskie', so maybe that's the Polish equivalent of 'Guinness is good for you'. And just like Guinness, Grodziskie was, for a time, recommended by doctors. After the second world war all Polish industry was nationalised and a long period of under-investment set in. An attempt was made in the 1980s to revive the Grodziskie style with the development of a handful of riffs on the style – some darker, some with a higher ABV – but the writing was on the wall and the last brewery making Grodziskie was closed in 1993, by which time the biggest selling beers in Poland were pilsners and pale Euro lagers. Some 500 years previously Jan Długosz, a Polish priest and chronicler, commented in the 1470s that Poland's native drink was made from wheat, hops and water. The wheat malt, for which Red Russian wheat is best suited, is prepared as follows: It is steeped for 30 to 40 hours, according to the temperature of the steep water. Germination is carried on with warm sweat, allowing the rootlets to mat so densely, toward the end, that a machine for tearing them apart is required to prevent the malt from reaching the dry-kiln while hanging together. The dry-kilns are made on the principle of coke-kilns, allowing the smoke of the oak wood to pass through the malt and impart an odor of smoke to it. Although it had long been brewed solely with wheat, in the 1600s brewers added some barley to the grist and by the middle of the century it had become an all-barley brew, but by the 1690s brewers pulled back on the barley and were making it with one part barley malt to six parts of wheat, and at some point it reverted to all-wheat once more. The hops that went into Grodziskie were largely local varieties including Nowotomyski and Polish Lublin, but also some more familiar strains such as Czech Saaz and German Tettnanger and Hallertauer Mittelfrüh. It was very highly hopped, with one or two reports of hops even being introduced during mashing. I've seen one record which says the hops used were five or six years old (which is twice as old as the hops that go into Belgian lambic beers) because “it is well known that the storage of hops for long periods causes a destruction or disappearance of the bitter principles and the essential oil” (Journal of the Institute of Brewers, 1901). That being the only reference I've seen to the practice of brewing Grodziskie with aged hops I think we should take it with a pinch of salt, as intriguing as it might be. Grodziskie was a very lively and highly carbonated beer, hence the sobriquet 'Polish Champagne,' which might have led to it having its own type of glassware similar to a footed pilsner glass; a tall glass which flares out at the top as depicted in the poster above, in this Polish YouTube review (I think I heard the word 'champagne' at around 41 seconds) and in many of the images on the web related to the beer. The tartness in Grodziskie... well, that might be up for debate. 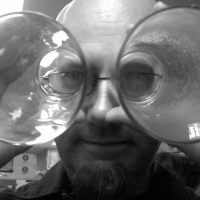 A lot of articles make reference to a sour mash technique, which could come either from an introduction of a culture such as lactobacillus, or by keeping part of the previous batch of wort back and adding it to the new batch, just as with sourdough bread. Other articles mention a sourness but that it might have come from the distinct strain of yeast used by Grodziskie brewers, some of which was preserved when the last brewer of this fascinating beer closed in 1993. Beer historian Ron Pattinson and a few of his associates and friends have recreated a Grodziskie but with no sourness at all, an approach which, judging by some of the comments, seems to be the authentic way of doing it, although going back to the American Brewers Review, they describe the flavour as “Delicate, acidulous and wine-like,” so definitely a suggestion of sour there. It just goes to show that there are no hard and fast rules when it comes to brewing beer of a particular style, as some would have us believe. Nor would the beer have been exactly the same over the hundreds of years it was brewed, so perhaps, like porter and so many other beer styles, it was once tart but the sourness was worked out of it, or maybe some were tart and some weren't. What's interesting about Pattinson's recreation is that two versions were made – a Grodziskie and a Grätzer, the difference being the addition of willow bark to the latter following his discovery of its inclusion in an old description of Grätzer from the 19th century. Willow bark, as you may already know, is a source of salicylic acid which is the active ingredient in aspirin. It'd be nice to think of it as a beer with its own built-in hangover cure but that seems unlikely. Ron and his friends aren't the only people reviving the style. Polish homebrewers are doing it too, and the last Polish brewery to make the beer is gearing up to start brewing it again. Not only homebrewers, and not only in Poland: a few Czech breweries have picked up on the style recently. 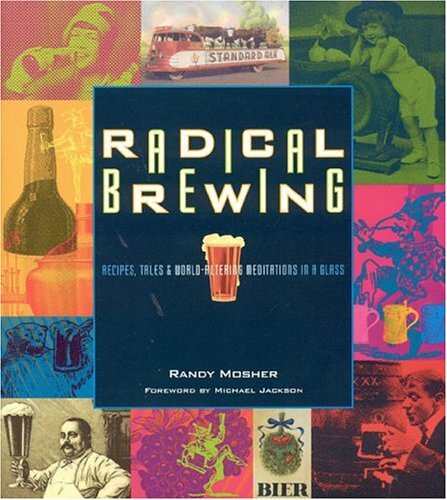 Randy Mosher included a recipe for a Grätzer bier in his book Radical Brewing, and a small handful of US craft breweries have made a Grodziskie in the past few years. One problem in bringing back the beer was that no one was making smoked wheat malt any more, but an Oklahoma brewer persuaded German speciality maltsters Weyermann to make some, and it's now available to both commercial and home brewers alike. I doubt this is ever going to be more than a niche brew in the US, made occasionally by a craft brewer looking to experiment, and even in its own home it might not be able to overcome the dominance of the pilsner, but it's always exciting to see old and forgotten styles making a comeback and adding a little more interest to the selection at the bar and on the shelf.